and the blue-red flagged regiment is IR 22 Prinz Moritz von Anhalt. 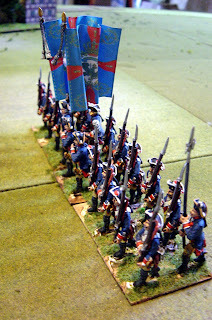 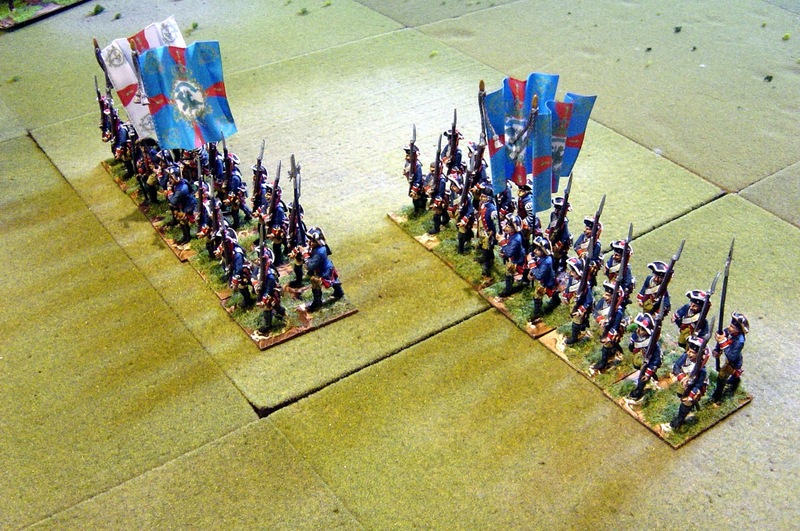 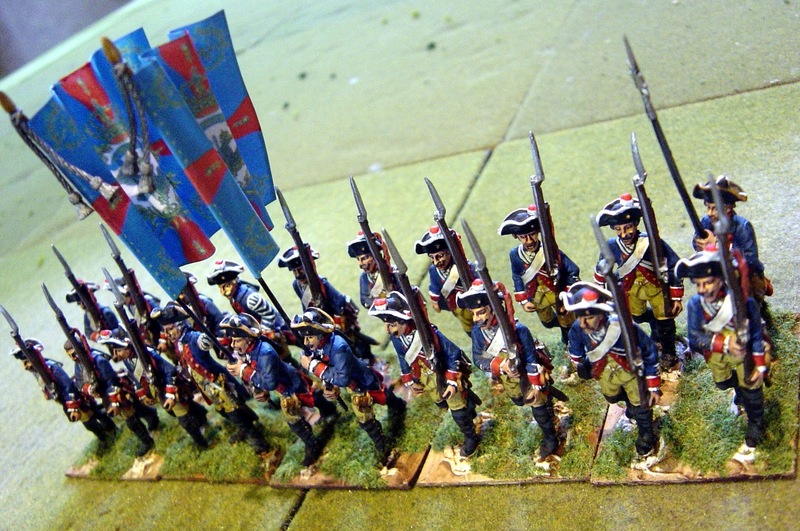 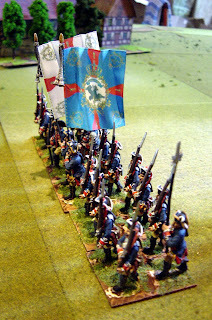 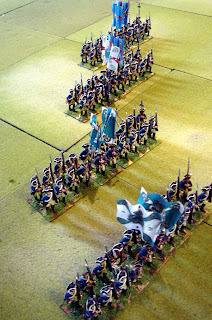 The figures are by Trident from their AWI range of Hessians and they are lovely figures to paint. 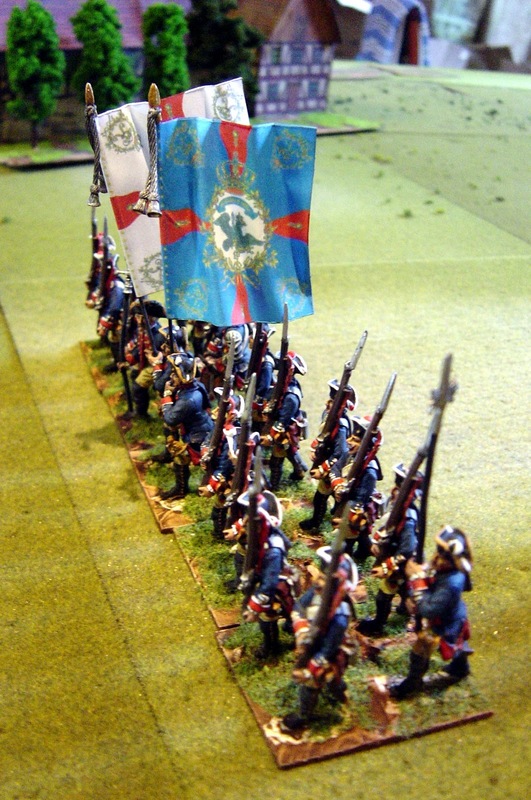 I would like to do the entire Prussian infantry using Trident's figures. 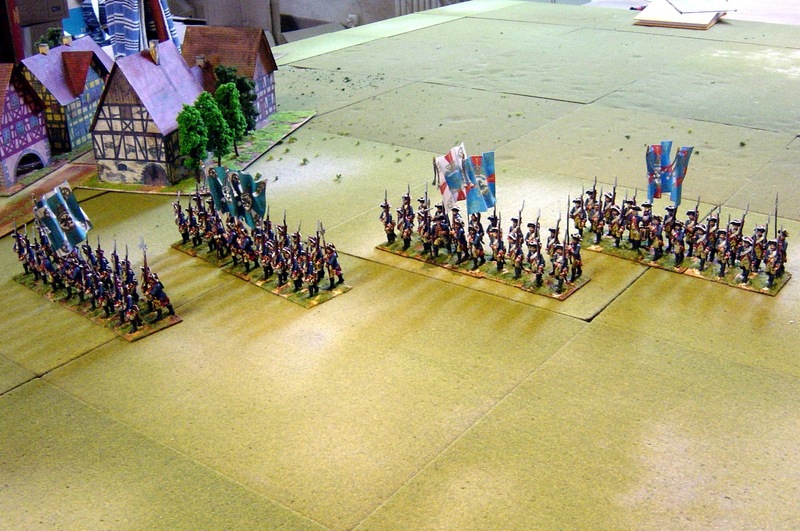 The reason why I'm showing them on verdant but bare terrain is because I don't have any 40mm specific terrain yet. If I keep going with this project, which I'd like to do but which time and budget constraints might delay, then I'll look at some scale features. As more people get into 40mm, more ephemera might become available. I re-use the bulk of my 28mm terrain for 40mm games, but use the larger '28mm buildings' which don't look too wrong with the 40mm figs.